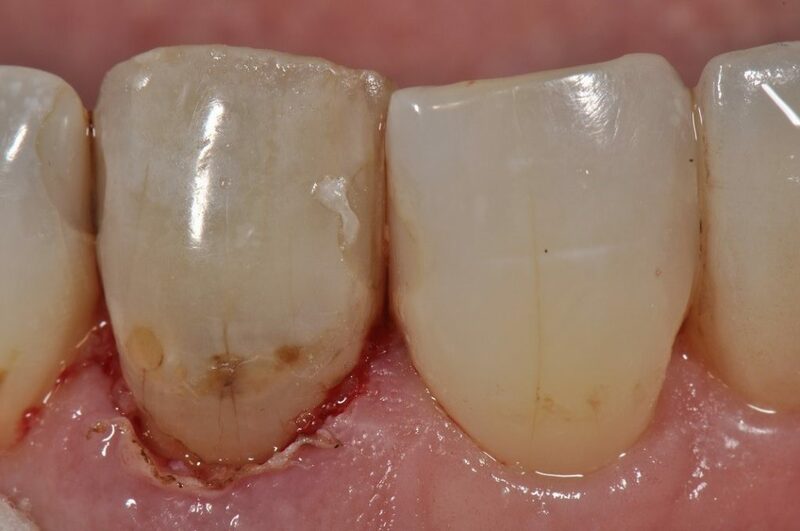 When you’re setting up a case for either bonded porcelain restorations or even just a simple composite veneer, it is important to try to gain symmetry in both pink and white esthetics when it comes to the upper centrals. 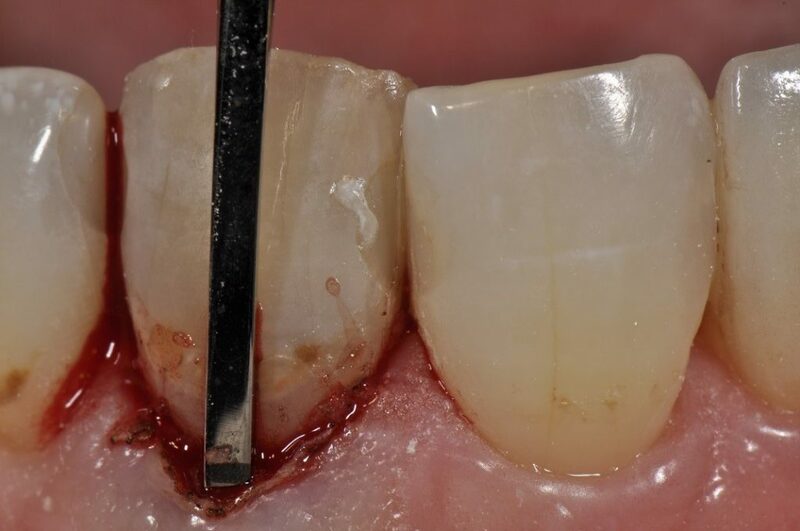 This case is being set up for some conservative composite bonding to change the shape and color of the endo-treated tooth without the need for further structure reduction. 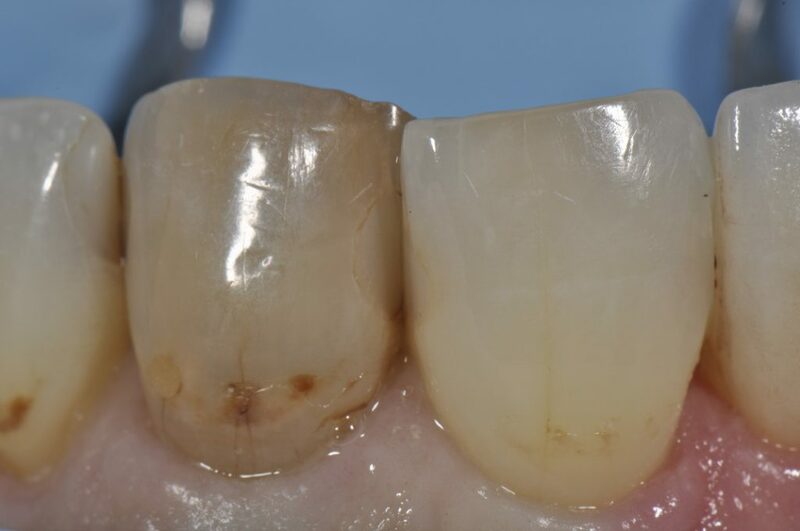 The old composite will need to be removed as part of the “veneer preparation” stage, but otherwise we have loads of space to build facially and change the shade. 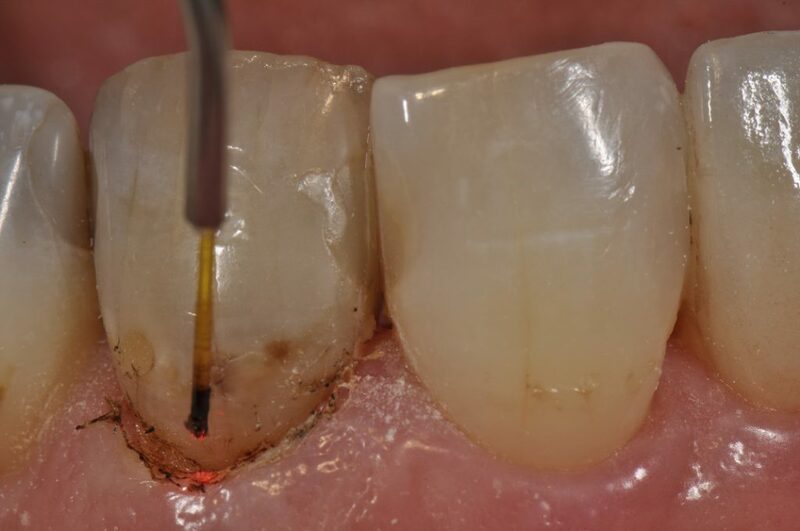 The amazing Ultradent Gemini diode laser (810nm and 980nm) was used to adjust the gingival margins prior to a transsulcular osseous recontouring approach using the Kois Wedelstaedt chisel (Brasseler USA), re-establishing the 3mm biologic width mid-facially and 4mm at the proximofacial line angles. The Gemini uses different wavelengths for different therapeutic actions – 980nm is attracted to the water content more resulting in more efficient coagulation and cutting. It has been used in pain relief and inflammation reduction protocols. 810nm requires carbonization of the tip to account for its lesser absorption (10 times less than 980nm) but is an efficient “cutter”). Probably the most powerful and efficient cutting I have seen from any diode to date. 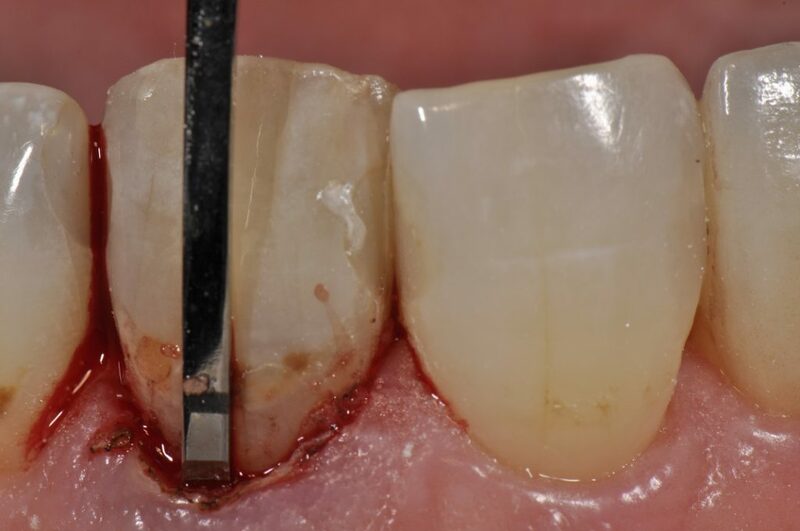 After soft tissue resolution in approximately 3 weeks, we will be able to proceed with resin bonding on a case that is now more likely to be balanced to the eye.